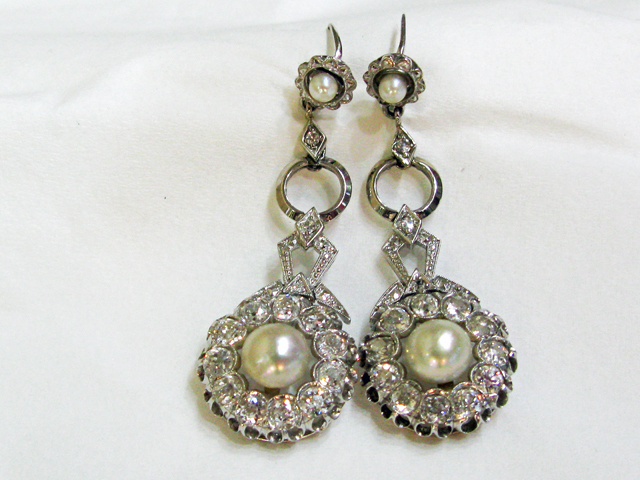 A wonderful pair of antique 18kt white gold earrings with 4 white cultured pearls, approx. 3.18 - 6.77mm; 6 old European cut diamonds, est. 0.09ct (clarity:SI & J-K colour) and 22 old European cut diamonds, est. 2.65ct (clarity:SI & I-J colour).